Hotel Krishna Niwas the heritage house is counted among top 10 resort in mount Abu. It is a relaxing resort with fantastic location and warm ambience which defines the luxury and leisure available there. 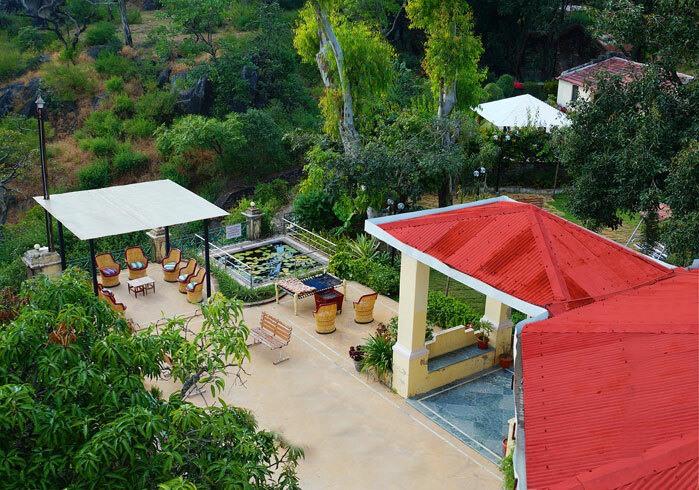 This hotel in Mount Abu has magnificent atrium and also provides a great view of the surrounding nature. The wide choice of residential accommodation like a hotel and the tranquil ambience of the resort make it a great place to enjoy a relaxing holiday in the company of your loved ones, making it one of the best family hotel in Mount Abu. Its historical background and infrastructure add to the beauty of the positive vibrations to the cool breeze in the surrounding atmosphere. 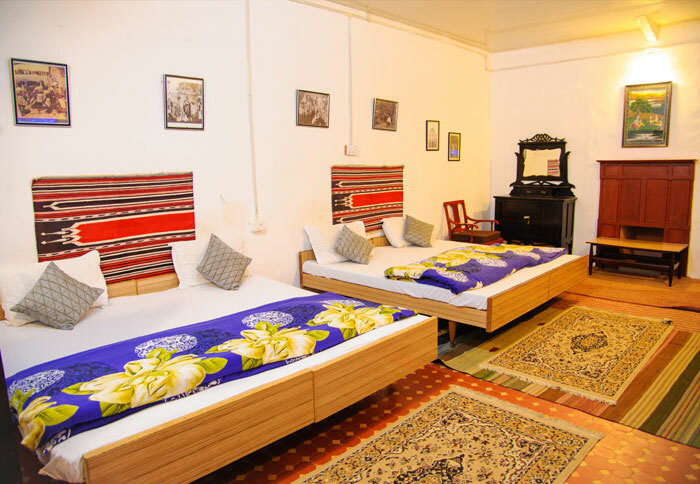 Located in the heart of Mount Abu, near Nakki lake and local market; Krishna Niwas the Heritage House offers you the warmth, impeccable service and everything else that one would be wishing to have on the vacation trip. So, it definitely proves to be one of the best hotel in Mount Abu the best place to stay in Mount Abu. It is a vibrant and lovely place to spend your holidays with your loved ones in utmost royal comfort with beautiful atmosphere around to breath in the cool aroma of the nature. Stay at Hotel Krishna Niwas to collect life long memories to cherish for. It has mainly 3 categories of rooms named as deluxe, super deluxe and family suit rooms. Deluxe rooms are cozy with approx. 150 sq feet in size and are good for a couple or a small family. Since there is no space for extra beds, they suggest these rooms to single traveler, couples or family with infants. Super Deluxe rooms are bigger with approx. 250 sq feet in size and are suitable for people looking for good room space. There is sufficient space for extra beds and hence recommended for couples or family with kids. Family Suites with approx 350 sq feet in size are perfect choice for a big family or a group as it can accommodate a maximum of 5 adults and 2 children with extra mattresses. All the rooms air-conditioned, spacious and well ventilated. Relax in the outdoor garden area while your children can enjoy in the colorful play area and let them enjoy their time and you can enjoy a sip of hot tea or coffee in your hand. 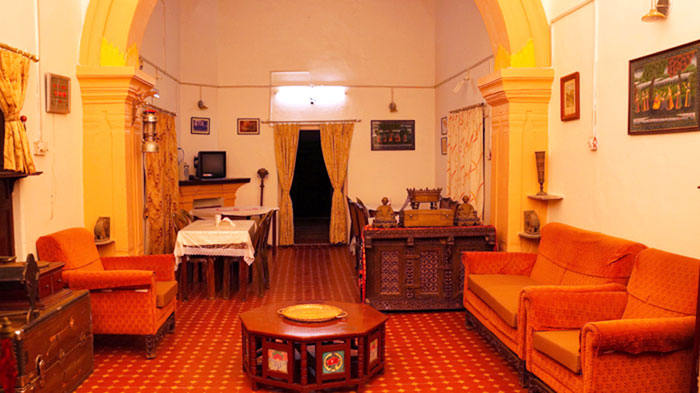 Hotel Krishna Niwas the heritage house is one of the best hotel near Nakki Lake. It is designed for providing a relaxing and invigorating experience to its guests. And with this it has raised the bar of lavishness and comfort, and sent it to a new level all together.